...and, some hack alone, and some hack in Groups. And Chinese Hackers are the ones who are infamous for their dedication towards Hacking. Chinese hacking groups are better known for attacking and stealing information, organized cyber crimes, theft of intellectual property and state-sponsored cyber espionage attacks. 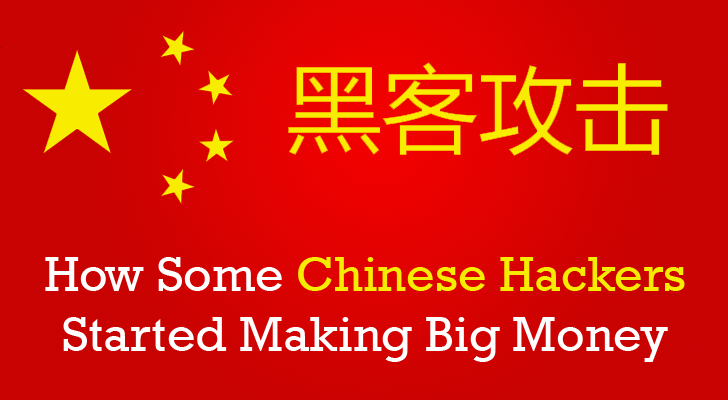 But it seems that several Chinese hacker groups have now shifted their motive of hacking towards ‘making money’. How much Money Hackers Actually Make? It is a known fact that hacking makes money, but how much? Answer: At least $4,500,000/year from one malware campaign. How? We often observe mobile and desktop applications bundled with Ad-displaying programs, called Adware, to generate revenue. Just last week we reported about “Kemoge Android Adware,” disguising itself as popular apps, is making the rounds in as many as 20 countries. 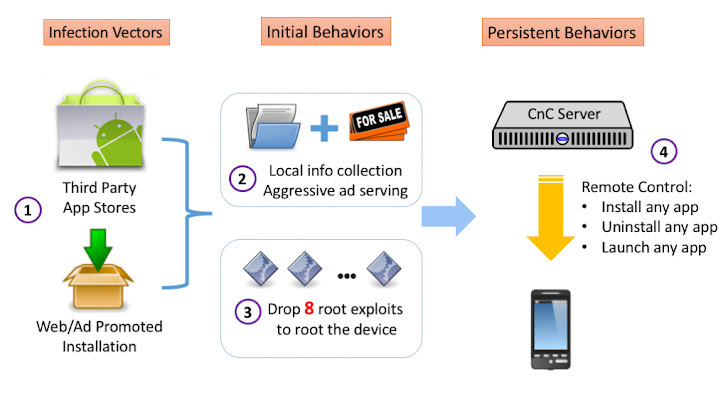 Kemoge malware, whose origin is suspected from China, can root vulnerable Android devices, which practically allows hackers to take over victim’s Android device. Once installed, the malware automatically download other Apps it gets paid to promote. But Kemoge adware is not alone, the researchers have discovered some it's variants that belong to the same malware family. In a recent blog post, Security experts at Cheetah Mobile company, developers of CM Security and Antivirus apps, detailed about how Chinese hackers are making millions of profits from underground App distribution chains. “As users are completely unable to uninstall these malicious apps, the virus developers soon get a massive number of active users.” Cheetah Mobile researcher said. These malicious apps were found on some famous App Stores, including Google Play, Aptoide and Mobogonie. The Adware is affecting Android versions from 2.3 to 5.1. More than 10,000 phone types and 2,742 brands have been affected. 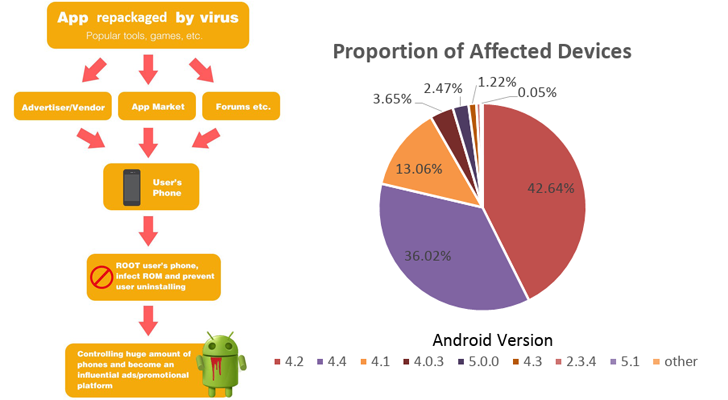 The virus has affected more than 900,000 Android users in over 116 countries, especially Southeast Asia. More than four suspicious domain names have been identified. keep your Android device updated. To grab more of what China-based hacks and attacks are capable of, Follow us and Stay Tuned.